“What is the turnover like in the area I’m looking in?” For most seniors looking to buy a home, they are considering purchasing a property that is going to be more of a short-term home. This likely won’t be the “forever home” they bought when their children were growing up. Anyone looking to buy during their retirement years should make sure they talk to their real estate agent about the neighborhood they are looking in and how that neighborhood is performing. It should be a place where they feel confident they can quickly sell again if they need to. “What is the demographic of the area?” Most seniors are going to want to be in a neighborhood where they can enjoy being around their peers. Chances are, you won’t want to be surrounded by young people who will be up all night or families with lots of young kids running around. A real estate agent should be able to provide this type of information for anyone looking to buy a home. “How safe is the area surrounding this home?” While looking at a home, it is important that you ask the real estate agent for more information on the neighborhood or area you are considering—especially when it comes to safety. Many seniors who buy after retirement are living alone and it is important to make sure that the home they will be living in is safe. “Are there any additional fees?” Fees such as HOA costs can make up a majority of a monthly mortgage payment and seniors need to be fully aware of what these fees are before they get too set on a home. For example, seniors looking to buy into a retirement community, need to be clear on the additional costs and HOA fees that go into this purchase. Speaking of HOAs, seniors who are buying in a HOA community should be clear on what things are and are not covered with the association including shoveling the sidewalks or any exterior maintenance. “How much are the property taxes and utility bills?” For seniors who are happily retired and no longer working, it is important to make sure that any home they buy is well within their budget—so they don’t have to worry. While a home may seem affordable on paper, it is important to be clear on the cost of property taxes and what the current owner is paying for their utilities. An agent should be able to secure this information for any prospective buyer. “Are there any warranties on the property?” Before buying a home, seniors should make sure they have as much information as possible on the property, including what appliances are new and if they have any warranties as well as structural improvements or big-ticket items like the roof. It is important for most seniors to be able to find a home that will require very little work and upkeep. While older homes do have a lot of charm, they are also going to require a lot of work—especially when compared to newer properties that are still covered by certain warranties. 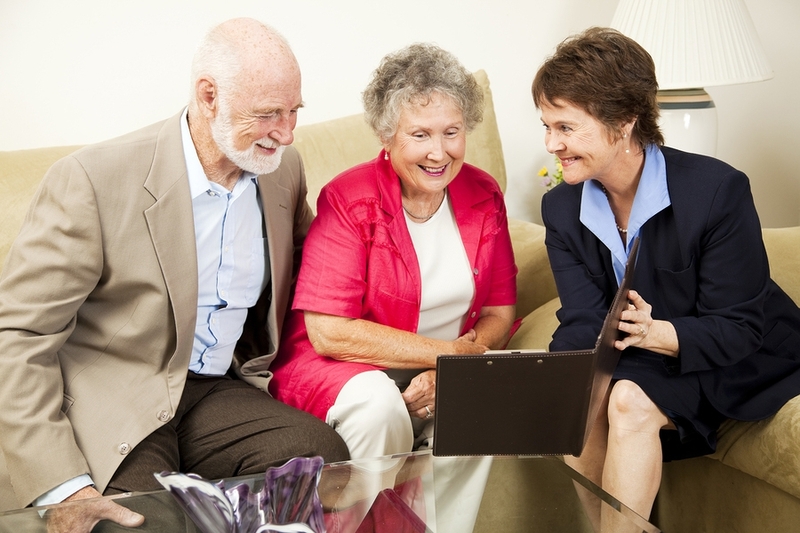 Buying a home as a senior can be a rather complex undertaking. Seniors have a great deal to think about when buying a new home as they need to make sure it not only meets their needs now, but that it is a place they can comfortably age in place in well into their future. Any older adult buying a home not only needs to keep these questions in mind, but make sure that they are partnering with an established real estate agent that has worked with seniors in the past.